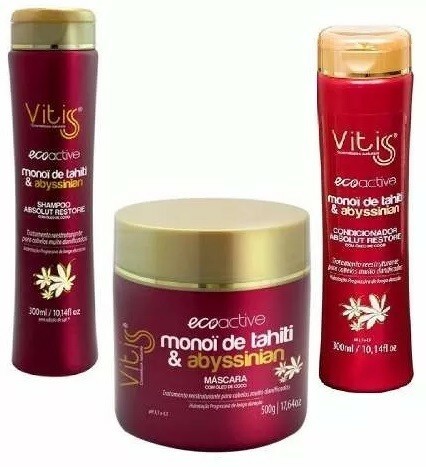 Itens inclusos: 1 Shampoo Vitiss Ecoactive Monoï Tahiti 300ml. 1 Condicionador Vitiss Ecoactive Monoï Tahiti 300ml. 1 Máscara Vitiss Ecoactive Monoï Tahiti 500g. 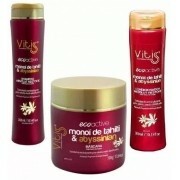 1 Shampoo Vitiss Ecoactive Monoï Tahiti 300ml.